September 5th is “Walk to School Wednesday” in Wyntercreek! 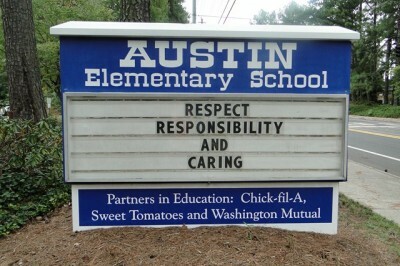 One of the best things about living in Wyntercreek is the close proximity of Austin Elementary. Wyntercreek is sure to have a great turnout for Walk to School Day being held on Wednesday, September 5, 2012. Each of Dunwoody’s elementary schools – Austin, Chesnut, Dunwoody Elementary, Kingsley and Vanderlyn – will be hosting a walk/bike to school event on this day as part of “Georgia Walk to School Day”.